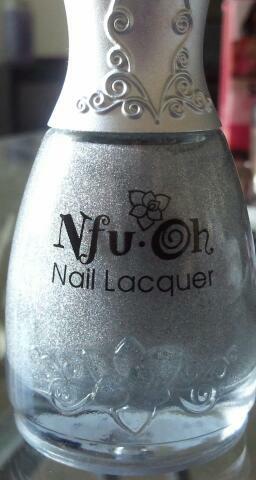 Tara Star Nails: Nfu Oh 61!!!!!!! Hi everyone!!!! 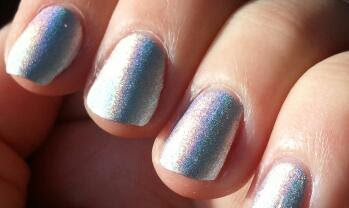 So, I know there have been about a gazillion entries lately on this polish, but there is a reason for it! It is by far, the most holographic nail polish I own, or have ever seen. 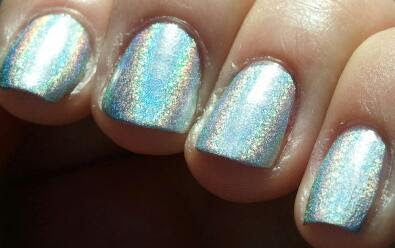 I can't compare to the China Glaze OMG Collection, and I have one Kaleidoscope polish that I haven't used yet, and I don't have the GOSH holographic polish, but this one is off the hook! 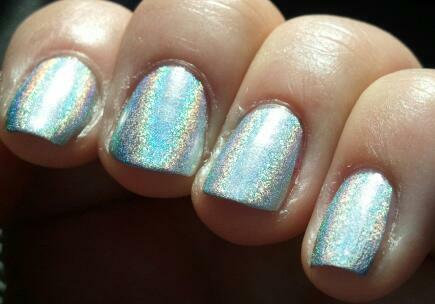 Even indoors the linear holographic-ness of this polish is outstanding, but just WAIT until you are in the sun! So the only downside to this polish is its application. 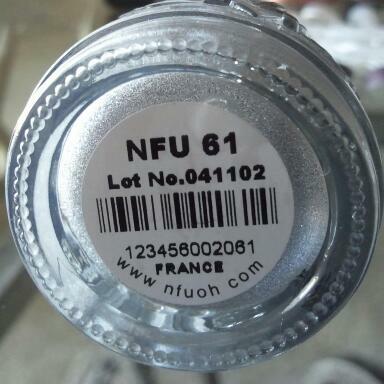 A lot of people say that you should use the Nfu Oh Aqua Base before you apply this polish, and they may be right. I don't have that base coat, so I used the gelous coat first. Then, the first application of the polish was horrid. It was soooooo streaky and patchy. Like you go over your nail like a regular polish, but it lifts some of it off as you go and you're left with a patch of no polish at all. 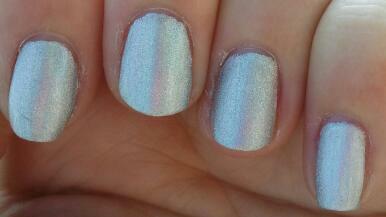 After I did all my nails, I went back to the first one to do a second coat. This one was MUCH better. You just have to work kinda quickly. 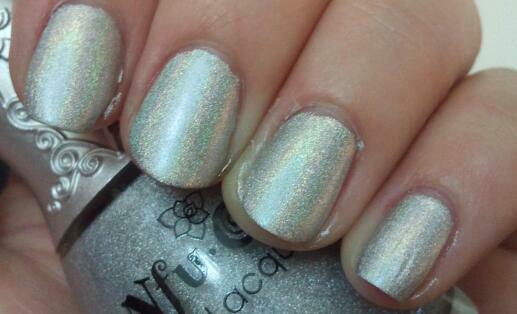 I then put a coat of Seche Vite, and then another coat of the Nfu Oh on top. 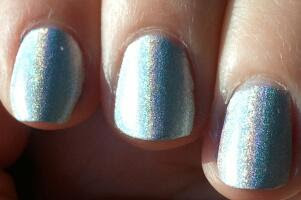 It is said that a top coat will diminish the holographic effect, so I heeded that advice and did not put a top coat on. 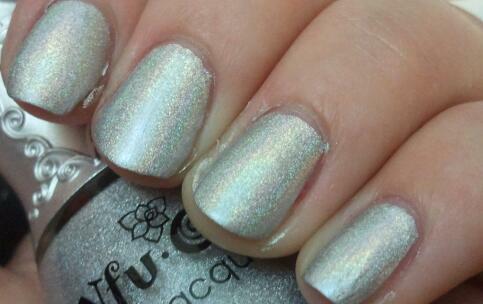 The polish dries pretty quickly and it is lovely! So really, since there are NO words to describe the color, here are the pics! 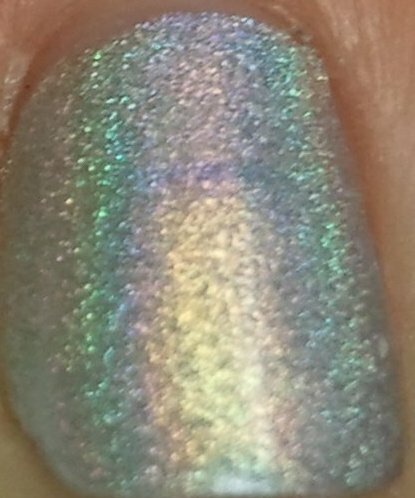 Even indoors, you can see the holographic-ness to it! Argh.. 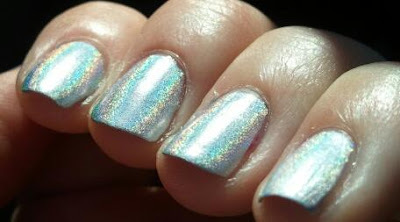 I long to find a Holographic polish in the UK, this looks beautiful! I want, I need this Hololicious beautie!! !